None of us ever ask to be put into situations that try our character, spirit, values and resources. But we all know they do come along. I live in an area hard-hit by Hurricane Sandy. I also made the decision to start a business in the worst economy since the Great Depression (although I didn’t know how bad the economy would get until after I made the decision to start). It taught me a lot about resilience; what it accomplishes, how it overcomes obstacles and why there are benefits to trials. Now seems like a good time to reflect on resilience. Here are 20 definitions of resilience. 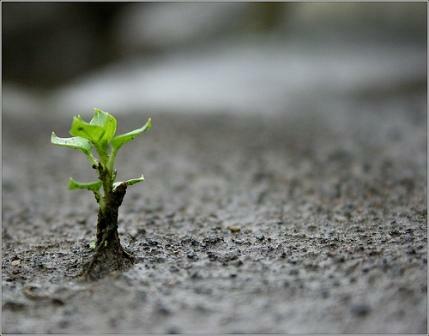 How has resilience made a difference in the way you live? Are any of these definitions of particular help to you? In a tough economy, it’s especially tough to be a nonprofit because people have less to give. But it looks like there is light at the end of the tunnel. 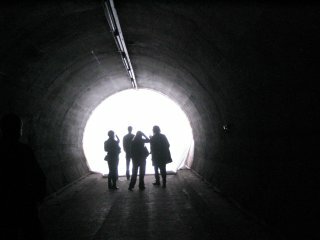 Although nonprofits report being “cut to the bone” in their budgets according to the Urban Institute, the American Association of Fundraising Council reports Americans gave more than $298.42 billion in 2011 to their favorite causes despite the economic conditions, up 4% from 2010 and reflective of recovering economic confidence. Individuals who share a common interest, conviction and passion for a cause drive nonprofits and account for 73% of donations. How effective is social media given these dynamics? Here are 11 case studies that prove social media ROI for nonprofits. AMERICAN HEART ASSOCIATION: Although the AHA is a large national organization, fund raising occur largely through local, grass-roots events. Even today, most donations still occur through the manual process of paper and clip boards. AHA changed the context of connecting with consumers at events from paper and clip board to text messaging. Donations increased 5X through text messaging in just 10 minutes versus the manual process that took days, even weeks, and costed more. AMERICAN RED CROSS: When the earthquake in Haiti occurred, American Red Cross had a flickr group with hundreds of behind the scenes pictures of their operations and a Twitter account with over 150,000 followers. Their Facebook group which incorporated media from all of their social media outlets had over 190,000 followers. American Red Cross quickly sent their text-to-donate message across their social media outlets and it became viral. Within a week, they raised $5,000,000 from texting alone. Over $20,000,000 was raised in a matter of months through social media. BREAST CANCER AWARENESS MONTH: The updating of personal status on social network pages for women with breast cancer received more media attention and impression on CNN and newspaper networks for a higher ROI than the paid efforts of numerous PR firms and built stronger advocacy. CANADIAN CANCER SOCIETY: Mark aka, “The Guy At Home In His Underwear,” is a Toronto native and a testicular cancer survivor. He was given 25 days to raise money for testicular cancer “one Facebook friend at a time”. The challenge was to get 25,000 ‘Likes’, in 25 days for Stanfield’s Clothing, an underwear manufacturer, through a photo of Mark at home in his underwear. If Mark could complete this challenge, then Stanfield’s Clothing would donate $25,000 to the Canadian Cancer Society in support of testicular cancer awareness. Mark’s consistent posting and fan support delivered 50,000 “Likes” within 25 days to overachieve the challenge and demonstrate advocacy for the cause. FOUNDATION ABBE PIERRE: A French based charity named after a priest who devoted his life to getting people off the street and finding them a decent home. They joined Facebook in 2010 and built up a fan base of 7,000 in their first year, but in the last 6 months they have increased this by over 200,000 fans and gathered a further 50,000 signatures on their Facebook petition. Does this translate to ROI? Yes. The organization was spending $1 per signed petition and, though a signed Facebook petition, spent 4X less plus built a very visible support network they could turn to again. HELPING HANDS: A local affiliate of the Oregon Food Bank sponsored a Thanksgiving fun run, Give N’ Gobble. The campaign goals were to increase overall donations, registered runners, volunteers and awareness in the Portland metro area. The race director hired Bonfire Social Media to create a search optimized blog, Twitter and Facebook pages. The blog served as a platform for race news, interviews, photos and easy race registration. Donations increased by almost 50% versus the previous year; runners increased by over 25%; volunteers increased 2X; web traffic increased 76%; pages indexed by search engines increased by 150%. LIVESTRONG: The Livestrong Challenge involved the purchase of yellow gel bracelet that became ubiquitous. It cost $1 and raised $10,800,000. It also occurred almost entirely through social media and a blog serving as the hub to generate awareness and tell the story. This occurred in 2009, at the height of the recession that was particularly hard on non-profits. SAVE THE CHILDREN: Zynga, the company behind popular social media games, called on all FarmVille players to buy more virtual radishes. Partnering with Save the Children, Zynga created “in-game” donations to raise money for all those affected by the earthquake and tsunami in Japan. Whenever players purchased virtual sweet potatoes in CityVille, radishes in FarmVille, and kobe cows in FrontierVille, they raised money; all of the proceeds went towards the Save the Children’s relief efforts. It raised $1,000,000. WORLD WILDLIFE FOUNDATION: Used social media to promote Earth Hour, an event to generate awareness of wildlife conservation and endangered species. Their YouTube channel ranked 9th for most subscribed non-profit organization). WWF also had a Facebook group which they used to engage the public in meaningful discussions and to raise awareness about their efforts. When WWF official Earth Hour began, the video was viewed every 4 seconds, and the topic appeared 56.1 million times in Google within a 24 hour time span. Earth Hour (#Earthhour) was amongst the top three Twitter trends. Their Earth Hour Canada group on Facebook had more than 100, 000 people participating. They even created a Facebook application that supporters could use to remind their friends to turn off the lights. This was significant awareness all gained as Earned Media through social media, at a fraction of the cost if it had been Paid Media. WORLD FOOD PROGRAMME: The World Food Programme (WFP) is the world’s largest humanitarian agency fighting hunger worldwide. On Facebook, they posted a photo: The photo posted here states “This is our web editor, Martin. He’s about to go shopping in a food market in Pakistan. He’s got 100 rupees (US $1.00) to spend. How much food do you think he’ll be able to buy?” This resulted in over 80 comments and 140 ‘Likes’. On YouTube, they posted a video and raised $36,000 on World Food Day. It has helped feed over 650,000 children. When it comes to proving ROI, revenue (or donations in the case of nonprofits) is always a primary measurement. But these case studies demonstrate, in addition to revenue, social media achieves other important results – getting petitions signed, providing disaster relief, fighting hunger, protecting the planet and helping find a cure for diseases. They also prove, when a nonprofit builds a base of support through social media, advocates are ready to jump in and help the cause. Out of demand from nonprofits to better understand and put social media to use, this November, from the 12th through the 16th, Rutgers University is offering a Mini-MBA on Social Media for Nonprofit Leader and Public Official. One of the course will be Measurement and ROI which I teach. In this post, it is important to give a shout out to a nonprofit founded by Seth Wohlberg, who is on a mission to cure Rasmussen Encephalitis, a rare inflammatory neurological disorder, characterized by frequent and severe seizures, loss of motor skills and speech that occurs in the brain. “RE” occurs most often in children under 10 and Seth founded RE Childrens Project. He has connected families from all over the world where someone in the household has Rasmussen’s. He has built a global brand with the help of social media. He also has discovered that a cure lies in securing tissue from children who had a hemispherectomy, a surgical procedure where one cerebral hemisphere (half of the brain) is removed or disabled. Seth has made incredible progress. In my opinion, he has already seen ROI but I believe, to Seth, ROI won’t be achieved until a cure has been found. Please visit RE Childrens and learn what Seth is doing. It is inspiring and Seth, and his daughter, Grace, are two of the most courageous people I know. Do these case studies prove the ROI of social media for nonprofits to you? 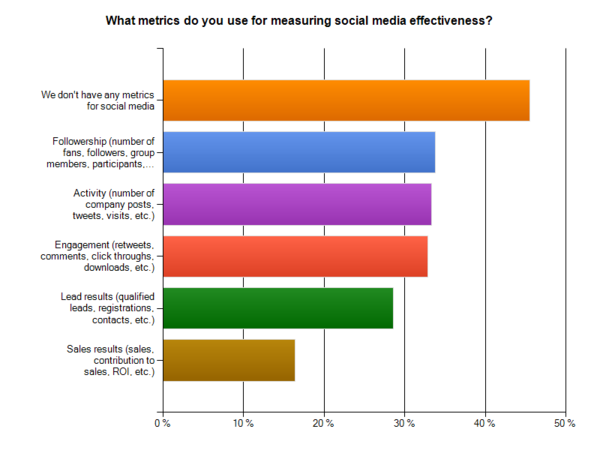 “How do I measure social media return on investment?” This is the #1 question over 3,300 marketers ask Social Media Examiner every year in the Annual Social Media Marketing Report. Pictures, however, tell a different story. 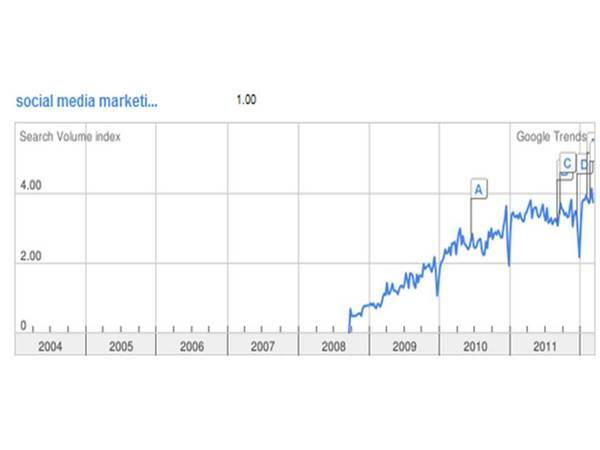 The first one below from Google Trends measures the year-to-year change in search volume for the phrase, “social media marketing,” which is increasing significantly. 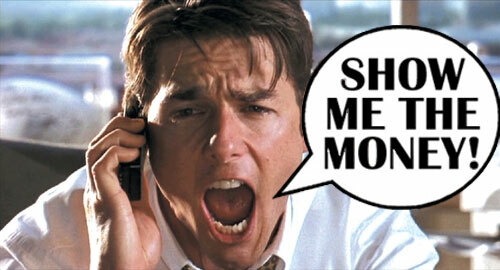 To help, here are 8 steps to demystify Social Media ROI. 1. BEGIN WITH THE END IN MIND: Since it’s called return on investment, begin by identifying the return you want at the end. Define and quantify your expectations. For example, do you want to: 1) Increase sales by 50%, 2) shorten the purchase cycle by 1/3, 3) double leads, 4) increase conversion by 40% or 5) decrease customer complaints by 75%. Be as specific you can be at the start; it increases the success you have measuring ROI at the end. 2. IDENTIFY WHO TO ATTRACT: Social media is one of the best channels for building 1-to-1 relationships. Take the time to identify who you want to attract and find the social networks where they spend their time. There are are great tools to help you. 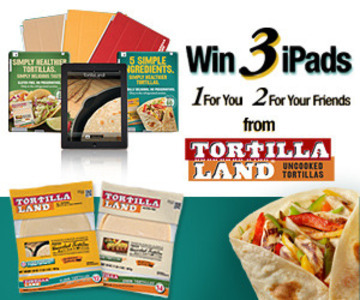 For blogs, there’s Technorati and Alltop. For Facebook, there’s Your Openbook and Booshaka. For Twitter, there’s Twitter Search and Kurrently. Just go to the search box in any of them and type in the product or service you offer. In fact, put the words, “buy” or “need” in front of it and you’re one step closer to a 1-to-1 business relationship. 3. FIND OUT HOW THEY FIND YOU: As you succeed with who you want to attract, your audience is going to want to find out more about you. The first place they are going to go is your website which should have an analytics tool like Google Analytics. Look at your “Traffic Sources:” then, look at “Referral Sources” to see which social networks provide the greatest number of visitors. Assess if this is in line with the social networks where you spend your time and resources. 4. 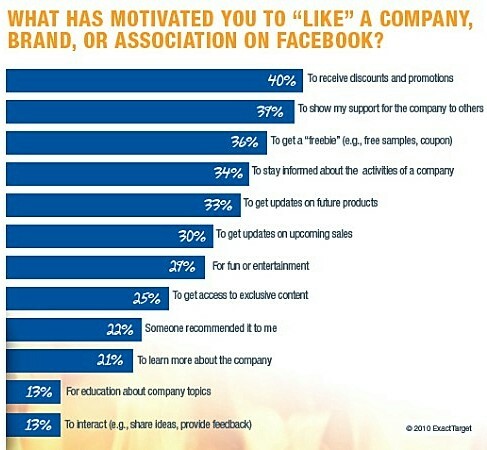 ESTABLISH YOUR VALUE EXCHANGE: Companies ask that you “Like” them on Facebook. Ok. Now what? 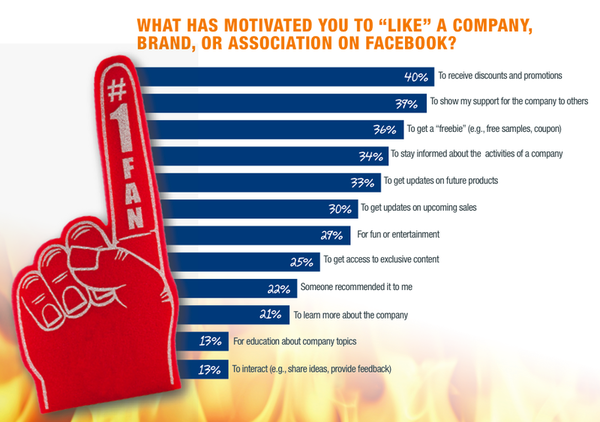 This chart below tells you consumers are motivated to “Like” you if you show them some “Love,” first. It also tells you, if you take this step, they show their support for your brand in return. If you need some help showing some promotional “Love,” Wildfire offers some great social media apps that are effective, affordable and make the value exchange easier for you to execute. 5. LET COMPETITORS POINT OUT OPPORTUNITIES: Social media is one of the best places, bar none, to gather competitive analysis and intelligence. That’s because you can understand a competitors business from a number of vantage points: Quantitative (“Likes,” “Followers,” “Fans”), qualitative (Positive and Negative comments, quality of engagement), strategy (competitors posts) and ideas. Let them show you opportunities. If you need to see if their social efforts are resulting in increased traffic to their website, competitive intelligence tools like Compete and Alexa can tell you. 6. PICK METRICS YOU’LL TAKE ACTION ON: There’s is no shortage of measurements in social media and monitoring them has turned into big business. I’m a believer that less is more. “Likes” and “Followers” are worth measuring if you’re prepared to take action when they go up or down. If more marketers flipped the chart below from HubSpot upside down and used it as a guideline to pick the metrics they should track, they’d be well on their way to an effective social media scorecard for ROI. 7. MANAGE THE MONEY SAVED WITH THE TIME INVESTED: By this time, your efforts should have produced gains in awareness, connections and engagement that have resulted is savings versus traditional media and marketing. But there has been a time investment which also has a cost. If you are cognizant results and resources, you have the two criteria for Social Media ROI in place. 8. BE CONSUMER CENTRIC: Even though we should all be concerned about the numbers and revenue, social media is a human media channel and never lose focus on delighting and being genuine with consumers every time you are in contact with them. If you do, you’ll find the numbers start to take care of themselves. 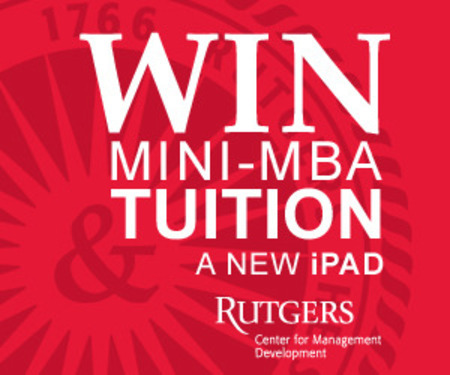 Social Media ROI is one of the courses in a Social Media Marketing Mini-MBA taught by Rutgers University that begins this week and is worth looking into. I am fortunate to teach and be among a great faculty that includes Augustine Fou, Matt Bailey, Mark Burgess, Heidi Cohen, Glen Gilmore, Greg Jarboe, Christina “CK” Kerly, Mike Moran and Mark Schaefer among others. 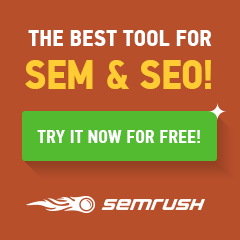 Do these 8 steps demystify Social Media ROI for you?